With all of the different regulations and standards available, as well as differing process operations, it can be difficult to know what testing or resources to use to help meet your needs. 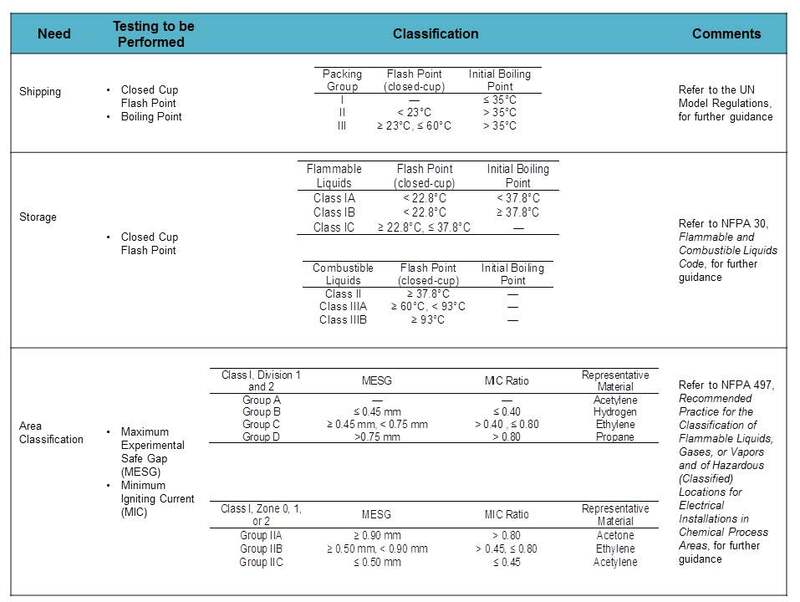 We receive many questions regarding determining appropriate flammability testing and guidance or on interpretation of various standards or regulations. We thought these table guides might be helpful. 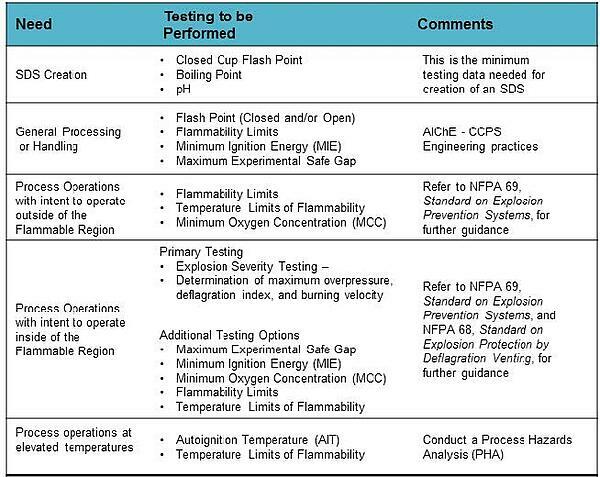 For more information on flammability testing, download our process safety newsletter. In it, we discuss the three components of the fire/explosion triangle, the limits of flammability, the limiting oxygen concentration (LOC), and the deflagration index.